Ground up project featuring an aluminum storefront window system that connects the interior and exterior spaces. 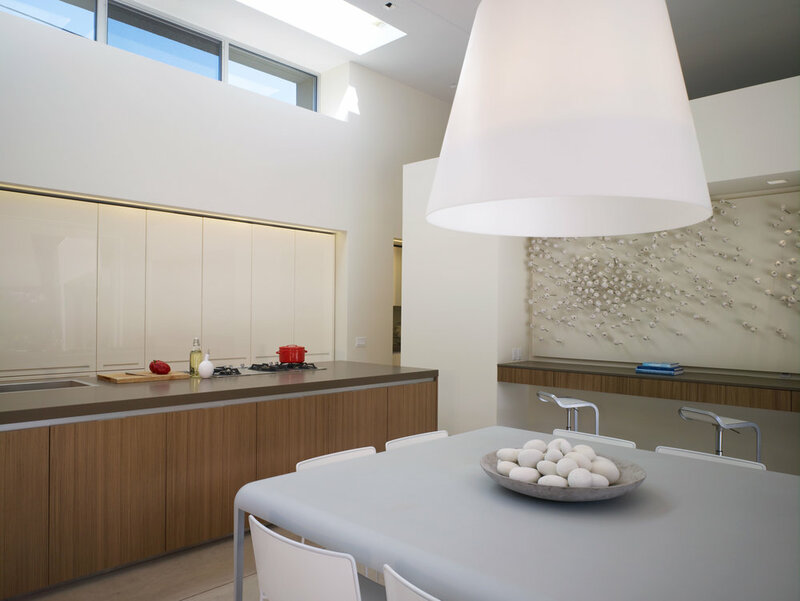 Modern design incorporates integral color concrete floors, Boffi cabinets, two fireplaces with custom flues of pre-cast corrugated concrete and stainless steel. Other features include an outdoor pool, a solar domestic hot water system, and Honduran Mahogany siding and front door.